I extended one night here because I fell in love with the city and its people. Staff are super nice and helpful. Location is also perfect. Theres enough shower for each room as well. Make sure u do the pub crawl here, because nightlife in Madrid is the best ever.Theres no complaint from me but a piece of advice: Be very careful of your personal belongings , since wierd things happened to me and I have no clue who did it. 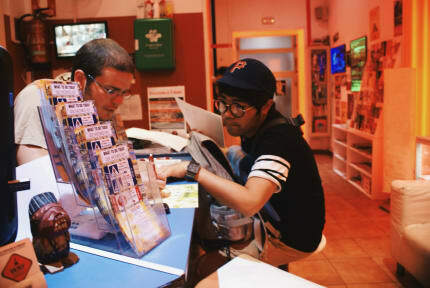 I had a wonderful experience here at the way hostel, the staff do everything they can to help the guests and make them feel at home, plenty of activities such as dinner and sangria in the common area to socialise, wonderful atmosphere to feel like home and get to know new people for a solo traveler like me, muchas gracias! The receptionist is so friendly!